In light of some recent fraudulent events, the Auburn Bay Residents Association (ABRA) Board of Directors and Management are conducting an audit of all ABRA Membership Cards starting March 1st, 2018. ABRA Membership Cards are MANDATORY for access to Auburn House facility, park and lake. In order to effectively conduct our audit, ABRA is issuing all Auburn Bay residents a NEW Membership Card to replace all the old cards that are in circulation. Effective April 1st, 2018 all residents will be able to obtain their new membership card at Auburn House. Residents ages 16+, MUST bring along a piece of Alberta Government Issued Photo Identification such as Alberta Driver’s License or an Alberta Identification Card with your Auburn Bay address listed as your residency. NO EXCEPTIONS! Youth residents between the ages of 12 – 15 must be accompanied by their parents (parents must have Alberta Government Photo Identification), along with a copy of the child(s) birth certificate. Tenant Agreement, if you rent your Auburn Bay property. *Please note, all tenants still MUST have an Alberta Government Photo Identification with the Auburn Bay address. Please NOTE, all other ABRA Memberships Cards will EXPIRE on July 1st, 2018 and will no longer be accepted as a form of entry to the facility, lake or park. Please ensure you obtain your new cards in time to enjoy the summer season at the lake. ABRA 2018/19 Annual Fees MUST be paid in full prior to obtaining your NEW Membership Card. Government issued ID cards are for Alberta residents over the age of 16 who do not hold a valid driver’s license. To obtain your Alberta ID card visit any registry office in your area. There are fees associated with obtaining an Alberta ID card so please contact your local registry office for more information. All residents of Auburn Bay should have a copy of their Certificate of Title. This document would have been provided to the home owner from the lawyers upon purchasing the property. If you know the Lot, Block and Plan of your property, the staff at Auburn House can obtain your Certificate of Title for a fee of $15 + GST. (You can obtain your Lot, Block & Plan numbers from your recent City of Calgary Property Tax Bill). Visit your local registry office (fees vary depending on registry office). 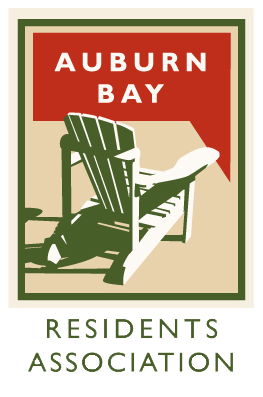 Auburn Bay Residents Association would like to thank you all in advance for your cooperation and understanding while we conduct our membership audit. This audit will allow for ABRA management to remove all fraudulent accounts in our system and ensure that the facility, park and lake are only being utilized by our community residents who pay their annual fees.